Soared high and took sinking lows. Soon nothing will be there. wonder why I still stuck around. look around and you’ll see me there. too much wine and too much song, wish you could be around. But the times that we had are now memories in the past. but the times like all memories are in the past. but going back in time we’ve run out of time. 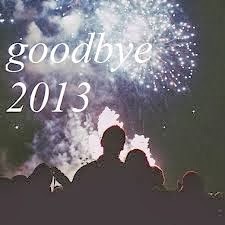 but the time to say goodbye 2013 has come.